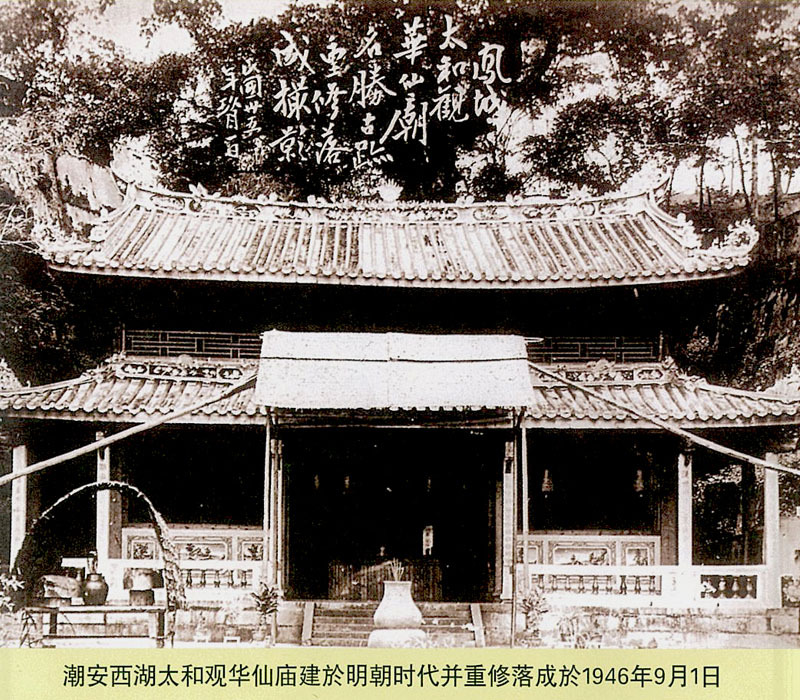 Thye Hua Kwan (THK) was founded in Guandong Province, Teo Ann County in China a couple of centuries ago. Based on historical records, it was established during the Ming Dynasty, where the saints blessed the people for hundreds of years. The two mentors were Yu Qing Nei Xiang Fu You Di Jun, Lu Chun Yang Zu Shi (of the 8 Immortals), Hua Tuo Zu Shi (Master of Medicine). In the West Lake Chapter, Hua Tuo Zu Shi dispensed medicine that served the sick and needy. In the 1950s, a Singapore chapter was set up, following the migration of predecessors into Singapore. In 1978, the society was registered as Singapore Sai Oh Thye Hua Kwan Choon Teck Seah Society on 22 April. The society was subsequently renamed as Thye Hua Kwan Moral Society.